Arsenal secured a dramatic late win over Huddersfield on Saturday to stretch their unbeaten run across all competitions to 21 games. 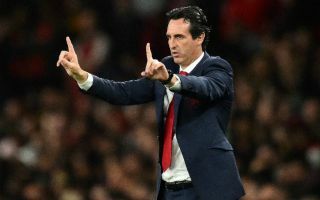 Further, the win temporarily moved them up into third place in the Premier League table, as they continue to impress under Unai Emery this season. However, after Rob Holding was ruled out for up to nine months after undergoing knee surgery earlier this week, as noted by BBC Sport, Emery could have a real problem on his hands when his side face Southampton next weekend. The Gunners also host Qarabag in the Europa League on Thursday night, but ultimately it’s expected that the Spanish tactician will rotate his squad anyway. Nevertheless, as noted by The Mirror, Shkodran Mustafi was forced to limp off with a suspected hamstring injury against Huddersfield, as the German international could now face a lengthy spell on the sidelines himself to ensure that he fully recovers from such a tricky issue before returning. Further, as noted in AFTV’s tweet below, Sokratis Papastathopoulos picked up his fifth yellow card of the season, and so will be suspended against the Saints. Both Nacho Monreal and Laurent Koscielny were named on the bench this weekend, but given that they’re only just returning from injury problems of their own, it remains to be seen who Emery goes with next week. Arsenal already have the unwanted tag of having the worst defensive record of the top five sides in the standings having conceded 20 goals in 16 league games so far this season. With that in mind, losing Holding, Mustafi and Sokratis against Southampton is not what Emery needed. Both Sokratis and Mustafi will miss our game vs. Southampton having picked up 5 yellow cards so far this season.